The GV-POE0801 is a 8-port 10/100BaseTX, PSE plus 2-port Gigabit Uplink (1*TP, 1*SFP) Desktop Web Smart PoE Switch. The switch supports IEEE 802.3at Power over Ethernet standard, up to 30 W per port and maximum 130 W power consumption per system, and no special network cable is required for connecting your powered devices (PD), such as IP cameras. The switch also provides exceptionally smart Web management features, such as VLAN, QoS, RSTP, IGMP Snooping, LACP, Port Security, etc. The switch is designed for small or medium network environment to strengthen its network connection and efficiency. It also gives you the option of installing it in a 19″ cabinet with a rack-mount kit or underneath a desk. GV-LC The SFP transceiver complies with IEEE 802.3z 1000BaseSX Ethernet, and provides the media transmission distance up to 220 / 550 m.
GV-LC10 The SFP transceiver complies with IEEE 802.3z 1000BaseLX Ethernet, and provides the media transmission distance up to 10 km. 1. The switch is a plug-and-play device and compatible with all SFP modules. 2. Specifications are subject to change without prior notice. Geovision GV-POE2411 gigabit switch 24-porte PoE. Alimentazione fino a 30W. Led di indicazione attività. Dimensioni per 19″ rack. 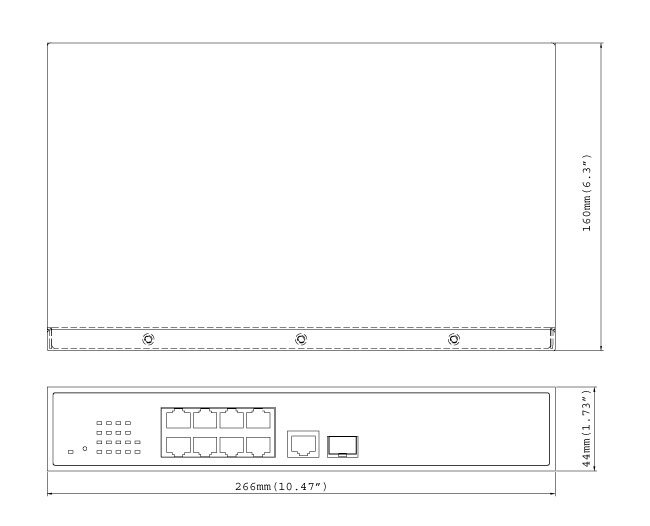 Geovision GV-POE2401, switch PoE di rete a 24 porte. Alimentazione fino a 30W. Led di indicazione attività. Dimensioni per 19″ rack. The GV-POE0811 is an 8-port 10/100/1000BaseTX PoE+ with 2 SFP Open Slots Rack-mount Web Smart PoE Switch. The switch supports IEEE 802.3at Power over Ethernet standard and maximum 130 W power consumption, and no special network cable is required for connecting your powered devices (PD).